The best way to experience Sonic Adventure without the downgrades described on this blog is to play the Dreamcast version. But if you don’t own a Dreamcast, there are ways to make the PC version a little better. This page will tell you how to improve your SADX experience on PC. SADX Fixed Edition (SADXFE) by SonicFreak94 – fixes a bunch of bugs in the 2004 PC port and adds some minor features. Does not restore Dreamcast assets. Dreamcast Conversion by PkR – restores Dreamcast levels, textures, object models, special effects, menus, branding, etc. 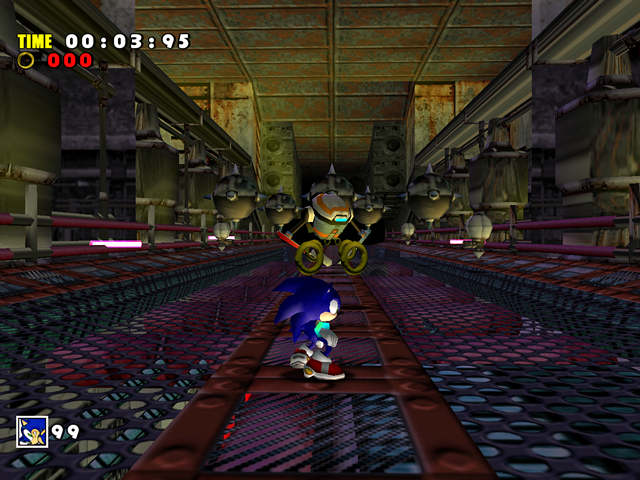 Lantern Engine (Dreamcast lighting) by SonicFreak94 – recreates the LANTERN lighting engine from the Dreamcast version in the PC port. Input Mod by SonicFreak94 – fixes issues with XInput controllers (spinning camera bug etc.) and some DInput controllers. A recent update made it compatible with all kinds of DInput controllers, so it’s a must have for anyone using controllers to play the game. Dreamcast Characters Pack by ItsEasyActually – restores Dreamcast character models, includes a different Metal Sonic model and the stretchy feet effect. 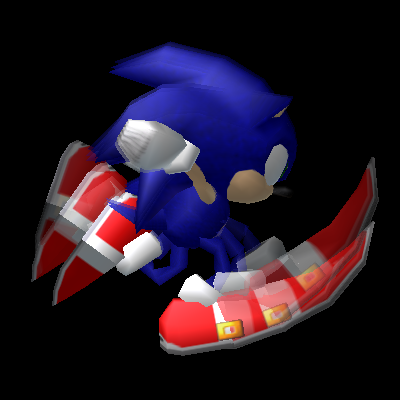 SADX Onion Skin Blur by SonicFreak94 – restores Sonic’s running “motion blur” effect like in the Japanese version of SA1. Looks best with Dreamcast Characters’ stretchy feet effect! HD GUI 2 by PkR & others – adds high-resolution textures for menus, HUD, tutorials etc. Sound Overhaul 2 by PkR – fixes a lot of sound bugs described in the Sound and Music section and replaces most sound effects with higher-quality sounds ripped from the Dreamcast version. 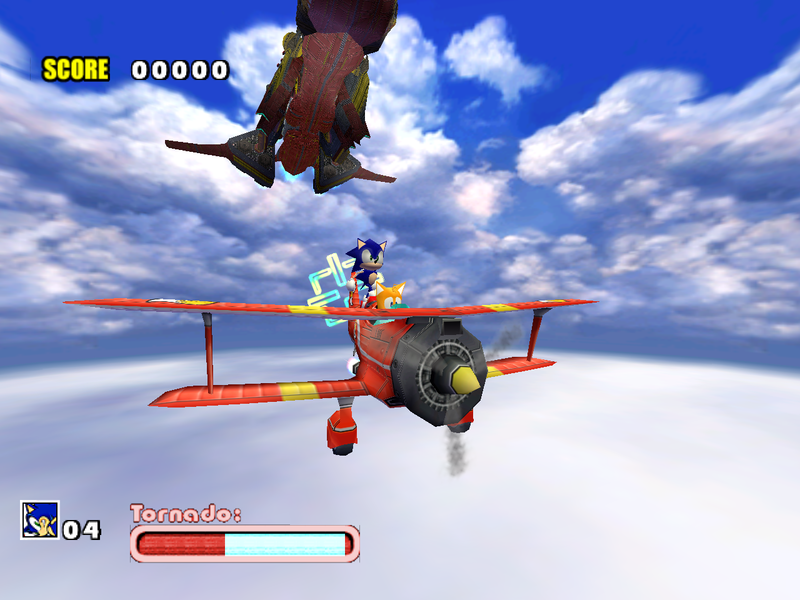 Super Sonic by x-hax – allows to transform into Super Sonic during regular gameplay after beating the Final story. Time of Day by PkR – if you’ve beaten the story, you can change the time of day by taking the train between Station Square and the Mystic Ruins. 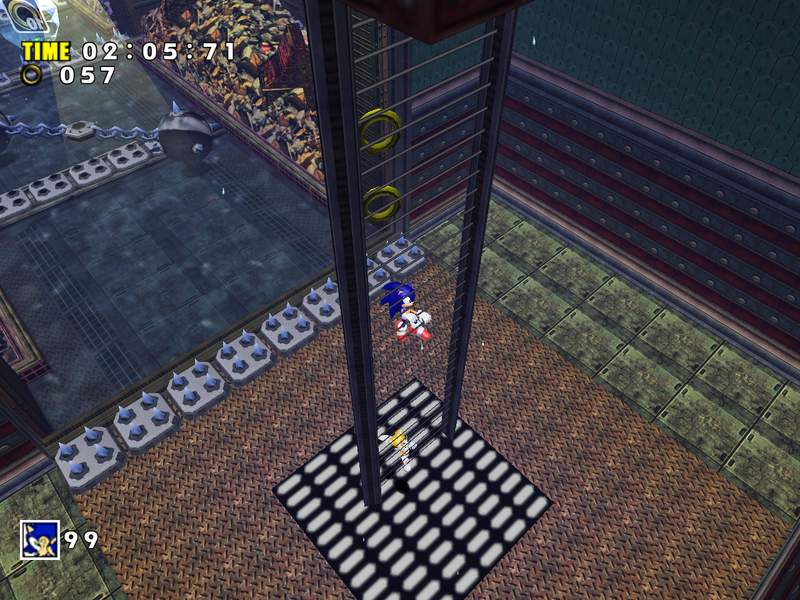 Dreamcast DLCs by PkR – this mod recreates Dreamcast-exclusive SA1 DLC content in the PC port. 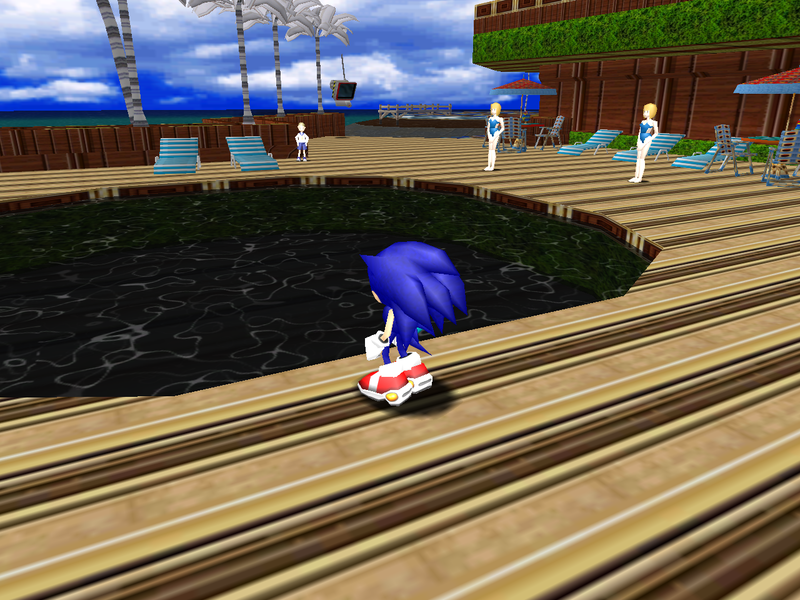 Enhanced Emerald Coast by PkR – this mod restores the ocean wave effect in Emerald Coast and fixes a few problems with the SADX version of the level without reverting it to the Dreamcast version. Now let’s see how to install these mods. 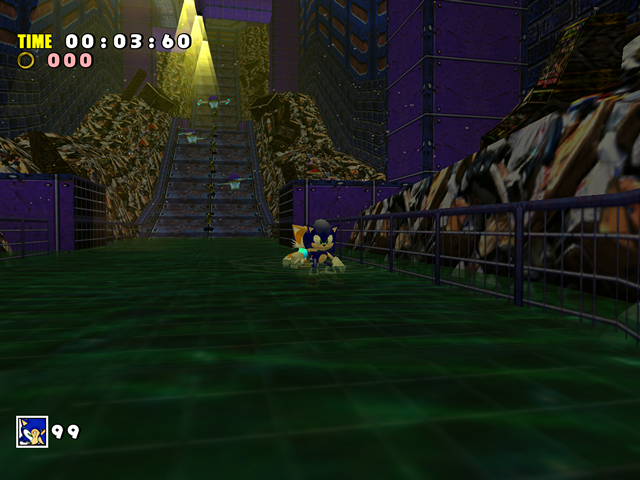 Thanks to MainMemory‘s SADX Mod Loader it’s possible to mod the 2004 PC port without altering the game’s executable or resources. With the Mod Loader you can enable or disable various mods and codes, and you can always just turn off the Mod Loader to revert to the original version of the game. 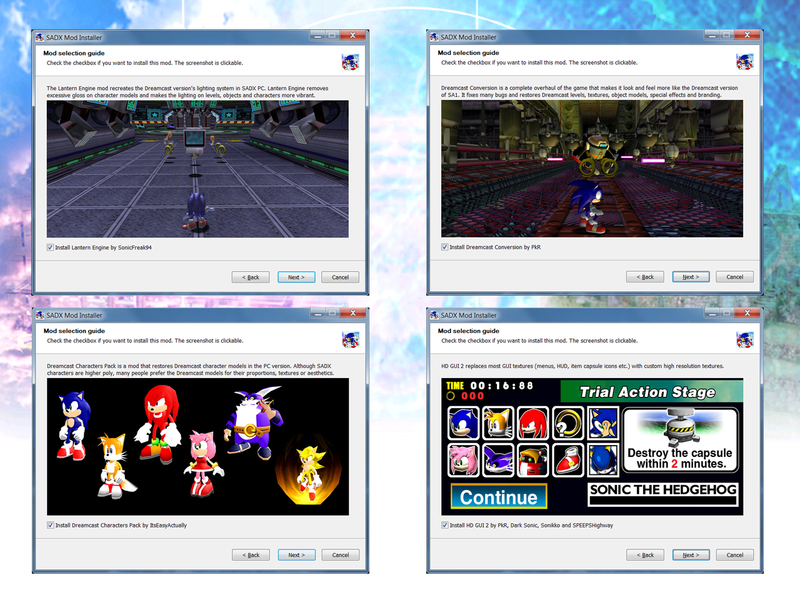 Installing SADX mods is relatively easy, but there are also mod installers that can set up everything for you in one go. If you want to download all mods yourself and install them manually, check out this guide. 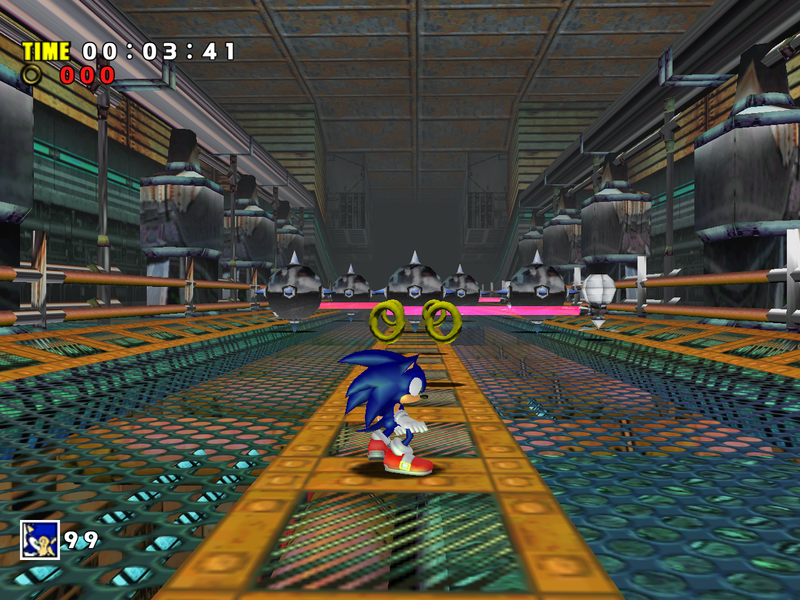 But if you’re only getting started with SADX mods, it might be easier to use a mod installer. There are two mod installers: BetterSADX and my installer. BetterSADX is meant for the Steam version, while my installer is universal. Both installers replace the Steam version’s executable with the 2004 version to enable Mod Loader support, and install the Mod Loader and some of the popular mods. Let me emphasize that the installers are compilations of mods and tools made by different people. In other words, BetterSADX is not a mod, and my mod installer is not a mod. The authors of BetterSADX didn’t make the majority of mods included with it. About the same for my installer, which does include several mods made by me, but it also has many other people’s mods available for install. In my installer you can see the full list of credits on one of the first pages, and BetterSADX has a credits list on its download page. Note: as of June 2018, the lead maker of the BetterSADX installer has left the project and recommends to use my installer instead, although BetterSADX is still being maintained. More here. Previous versions of this page had a section on BetterSADX problems. 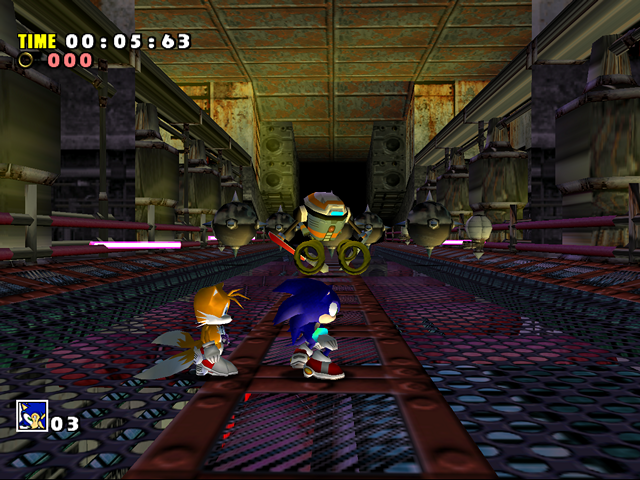 Prior to version 4.2 BetterSADX came with old, incompatible and/or redundant mods that tended to break Dreamcast mods if the player wasn’t careful enough. There was a potential issue with the “MimicDCTextures” mod used together with the Dreamcast Characters mod, but as of 4.3.4 BetterSADX no longer includes Dreamcast Characters, which resolves the issue but makes Dreamcast character models unavailable. Prompted by the issues people were having with BetterSADX’s bundling of my mods, I reworked Dreamcast Conversion and HD GUI to use hardcoded PVM and BIN filenames, which should hopefully eliminate almost all mod incompatibilities for good. Another issue with BetterSADX is that it perpetuates the ineffective update system – instead of just updating the mods through the Mod Loader, people are advised to download a new version of BetterSADX each time, which wastes space and bandwidth and doesn’t always contain the latest versions of mods anyway. Version 4.3.3 in particular shipped with a bug in Dreamcast Conversion that crashes the game. I fixed the bug as soon as it was reported to me, and it doesn’t exist in the “official” Update 10 version of the mod. Old/Beta/Autodemo Windy Valley by x-hax – turn off Windy Valley in Dreamcast Conversion config to make this mod work with other Dreamcast levels. Note: there is a more accurate recreation of Windy Valley by ItsEasyActually and supercoolsonic, which is compatible with DC Conversion. Autodemo Levels by x-hax – turn off the Dreamcast counterparts of the levels in Dreamcast Conversion config. MimicDreamcastTextures by CheatFreak & TheArcadeStriker – incompatible with Dreamcast Characters Pack if loaded after it – the version bundled in BetterSADX 4.3.1 will crash the game. 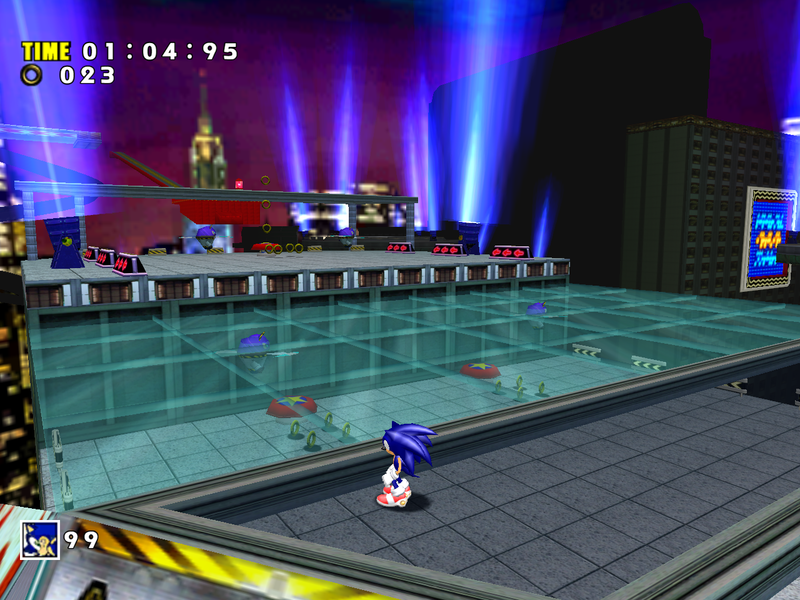 WaterFixes by IndyTheGreat – only works with SADX Mystic Ruins and Chao Gardens. You can disable or remove it if you use Dreamcast levels, though it should no longer cause any issues. 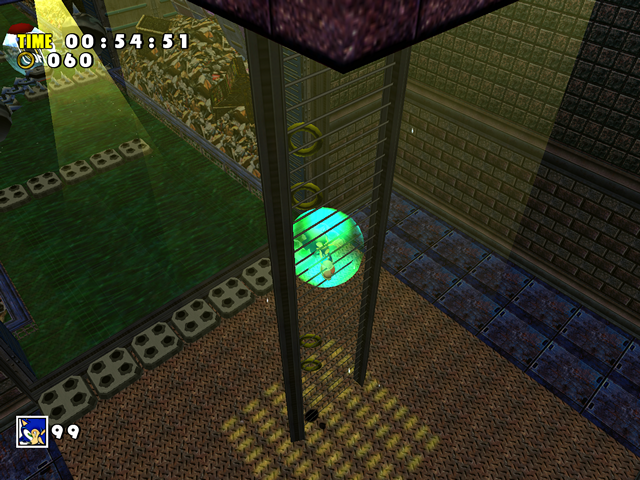 Enhanced Emerald Coast by PkR – incompatible with Dreamcast Emerald Coast. Use the SADX Style Water setting in Dreamcast Conversion to get similar looking water, or disable Emerald Coast in the config. XInput Button Prompts by CheatFreak (original version included with BetterSADX prior to 4.2) – the assets in this mod are not in HD, which was previously causing problems with HD GUI. It should no longer cause any issues, although the assets from this mod won’t be loaded if HD GUI is enabled. There’s a newer version of this mod compatible with HD GUI. DLC Circuits by CheatFreak – technically compatible, but somewhat redundant because the Dreamcast DLCs mod has similar functionality but with more options. You can keep it if you want to access the extra courses from the Trial menu. Mystic Ruins Final Egg Base Fix by PkR – this mod has been deprecated and the fix is now part of both SADXFE and Dreamcast Conversion. Please remove it. Egg Carrier Garden Ocean Fix by PkR – this mod has been deprecated and the fix is now part of SADXFE (not needed with Dreamcast levels). Please remove it. SET Layout Fixes by supercoolsonic – this mod is now integrated into Dreamcast Conversion and no longer does anything when loaded separately. Please remove it. Casinopolis Cowgirl by PkR – deprecated mod that no longer does anything. Please remove it. Disable SA1 Title Screen by PkR – deprecated mod that no longer does anything. Please remove it. Depending on the mod order, incompatible mods can overwrite each other’s textures and cause visual glitches or crash the game. Usually it’s possible to keep both incompatible mods enabled if you order them correctly, but not always: for example, the “Old Windy Valley” mod isn’t compatible with Dreamcast Windy Valley regardless of mod order – you have to disable the Dreamcast level. 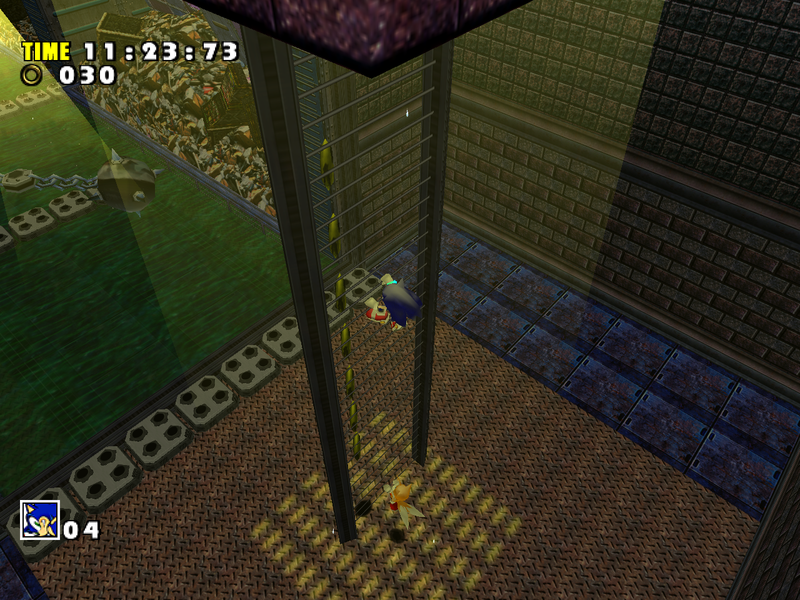 If two mods replace the same level, object layout or start coordinates may get messed up, and the level will be unplayable. Having more mods enabled (especially those that load texture packs) makes the game start up slower. 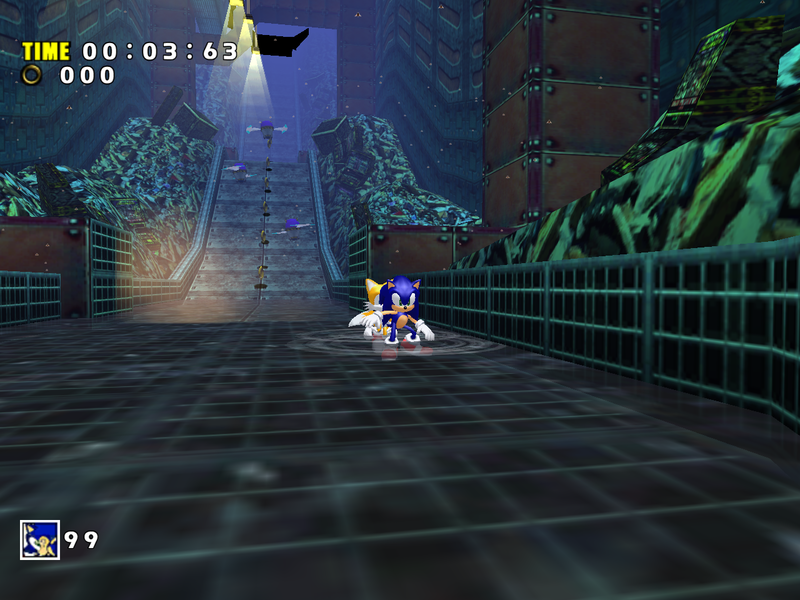 Dreamcast DLCs – “vanilla SADX mode” to make the DLC content work without Dreamcast levels, run different DLCs during different months, select which extra Twinkle Circuit each character goes to etc. 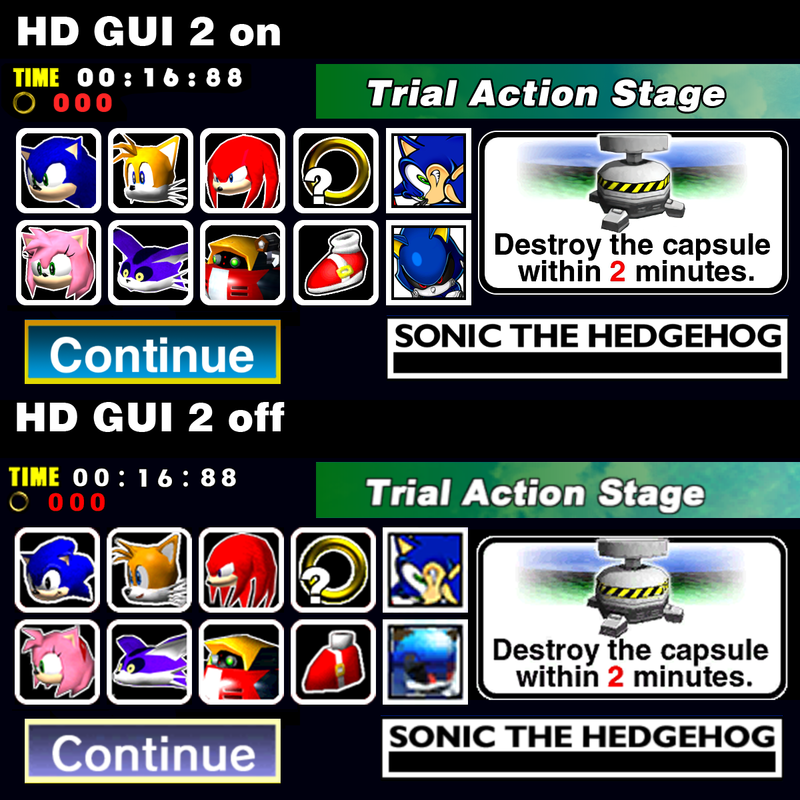 In addition, my installer has the following comparison for Dreamcast Conversion and Lantern Engine (warning: large image). Keep in mind: while the mods restore a lot of Dreamcast assets, they aren’t identical to the Dreamcast version, and some things are still missing. For a list of issues and things that haven’t been restored, you can check out GitHub issue trackers for Dreamcast Conversion, Dreamcast Characters Pack and Lantern Engine, as well as the “What’s still missing” page on ModDB. 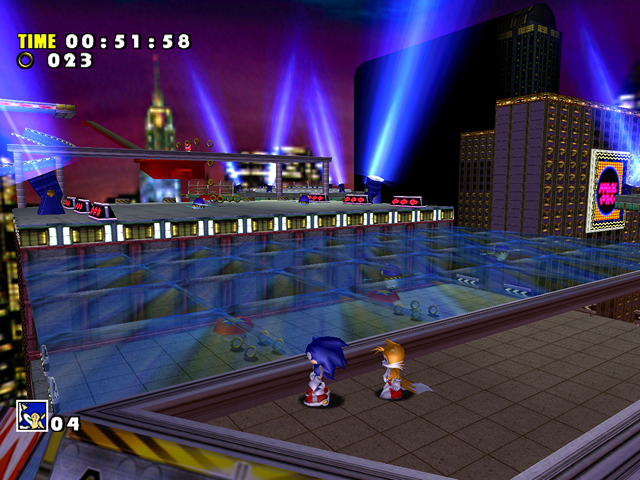 Sonic Adventure DX: Director’s Cut is commonly referred to as an “enhanced port” of the original game. However, every single area in the ports has downgrades worth a 1000-2500 word essay. 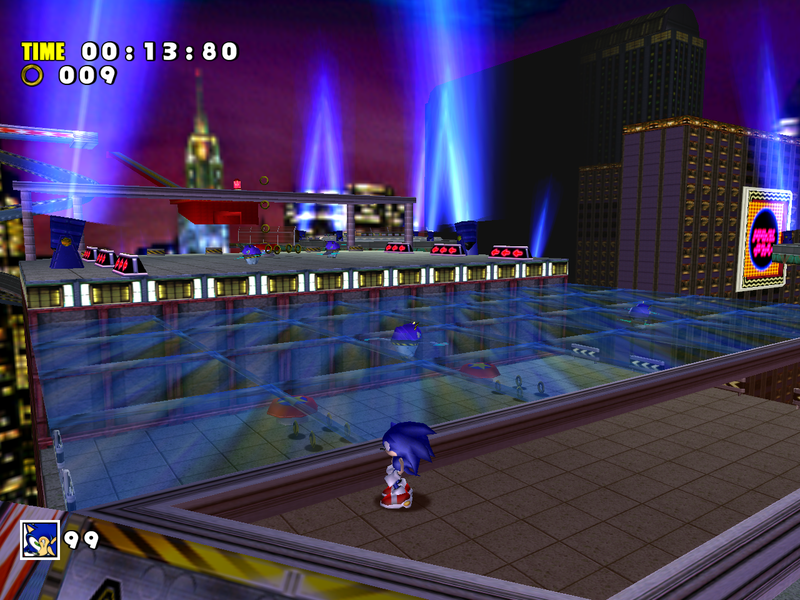 As this blog demonstrates, SADX is a massive letdown that not only fails to convey the atmosphere of the original game, but is also riddled with technical issues and design problems. The broken ports are still being advertised and sold on Steam, the Playstation Network and the Xbox Marketplace as the supposed “definitive” version of the game. These ports are such an incredible mess that people who play them first get a negative impression of Sonic Adventure, thinking it has always been a terrible game. Some even attempt to argue that everyone who likes SA1 is “blinded by nostalgia” and that the game was received poorly even when it came out, which is not the case at all. In reality, while the original game has some flaws and some aspects of the game may not have aged well (reminder: we’re talking about a game that came out in 1998/1999), the ports have done such a massive disservice to the original that a lot of people find it hard to believe the game was ever good to begin with. There is enough evidence on this blog to demonstrate that the “enhanced port” and “return of the Dreamcast” PR speak is nothing but blatant false advertising. The situation with SA1 ports can be compared to games like Aliens: Colonial Marines or No Man’s Sky, which are notable for their initial release versions being vastly different (for the worse) from pre-release footage. But with those games, the developers at least attempted to address some of the complaints. All we ever got with SADX was an even more broken Steam port that was patched once with some of the vaguest patch notes possible. None of the glaring issues plaguing the port were fixed in the update. Even the Game Gear games (a feature from the 2004 PC port that technically exists but isn’t accessible via normal means in the Steam version) were not added back, and they also managed to introduce new problems… I think it’s safe to say that SEGA have given Sonic Adventure the worst treatment imaginable. It only took several months for dedicated fans to fix the majority of SADX downgrades in mods by reverse engineering the game with no access to the source code. 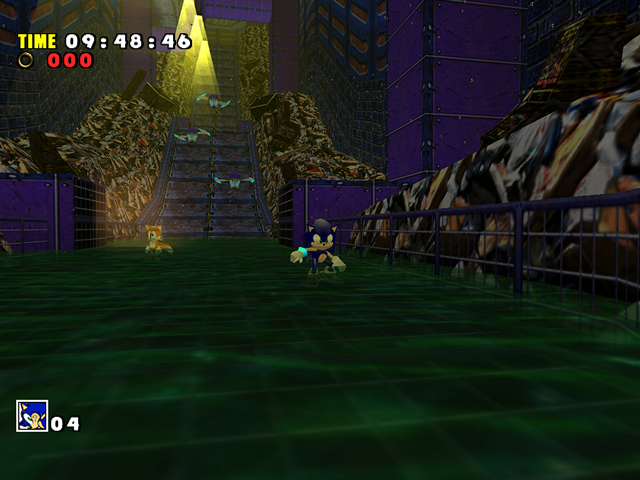 Imagine what the fans could do if they had the source code of SADX? We would fix everything and make the definitive version of the game on PC, perhaps even port it to other platforms! Of course it’s very unlikely that SEGA will ever give us the source code, even though the original game is over 18 years old. But if there’s a lot of buzz about the quality of the ports, maybe SEGA will do something and try to make them a little better. Who knows!